Dr Dax is a Dungeon Family member and Atlanta legend that is firmly established as a notable graffiti artist. His graffiti / street art legacy has graced the nation for over two decades. He is the quintessential “ATLien” with a unique voice expressed in a variety of mediums painting, fine art photography, and filmmaking. 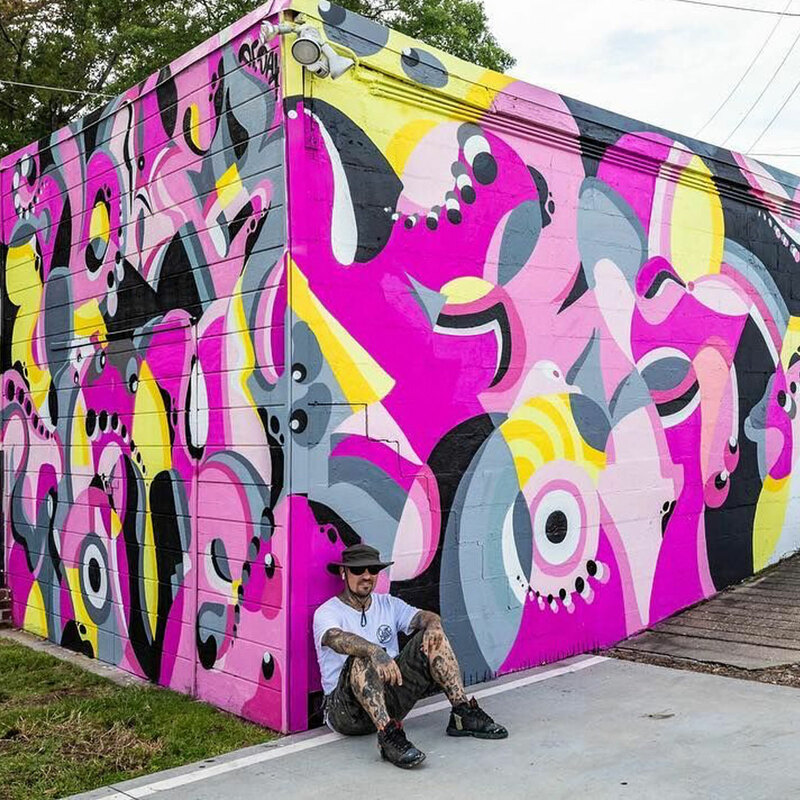 As an accomplished muralist, Dax can transform a blank wall into a monumental work of art that displays his unique style and technique. His paintings become immersive murals of intricate layers that are vibrant with energy and colour.